Pilates is a mind body practice that works to strengthen and stabilize our bodies core. The reformer is a spring loaded carrier machine used to do exercises to enhance your pilates practice. The springs can assist with some exercises and make others more challenging. 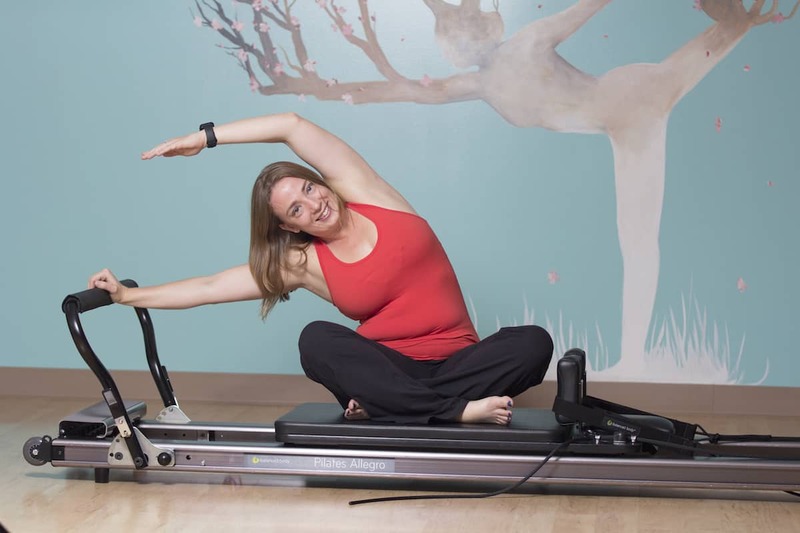 The reformer is doable for everyone.Vinyasa is a fun, vibrant, powerful practice designed to release tension and promote strength and vitality. This class flows dynamically between postures to help you find balance mentally, physically, and energetically. We end with a shorter period of relaxation and meditation to balance the mind and the body. The intention is to promote health, peace and well-being. Class sign up is required to reserve a machine. All group classes must be scheduled online and no later than 4 hours prior to the class start time to guarantee your spot and that class will be held. We ask that you wipe down the props and equipment after each class. Group class cancellation must be done at least 4 hours prior to the class start time to receive credit for the class for future use. All classes require a minimum of 2 clients per class. Four hours prior to class start, if less than 2 clients are signed up, class we will contact you. You will be notified via email or text depending on what you have provided to us if class has not met the minimum of 2 people. You will have the option to cancel class or pay a slight difference to have the private session. A normal private session is $50, but if you are signed up for a group class and only 1 person signed up, we don't want you to pay the full private rate. Instead, the rate will be $35 to compensate the teacher appropriately. If we cancel class due to low attendance, you won’t be charged for that class. Individual, Duo, Trio, and Quad private groups can be scheduled with any of the the Pilates teachers. Contact us at 765-201-0494 or communityyogalafayette@gmail.com to schedule.